Kia is set to unveil two new small cars at March's Geneva Motor Show. Last month we reported that the wraps will be pulled-off a new Picanto, now we have the first pictures and details of the new Fiesta-size Rio. It's due to go on sale in the UK from September as a five-door version and a three-door will be available from early 2012. Pricing and full range details will be announced nearer the on-sale date. 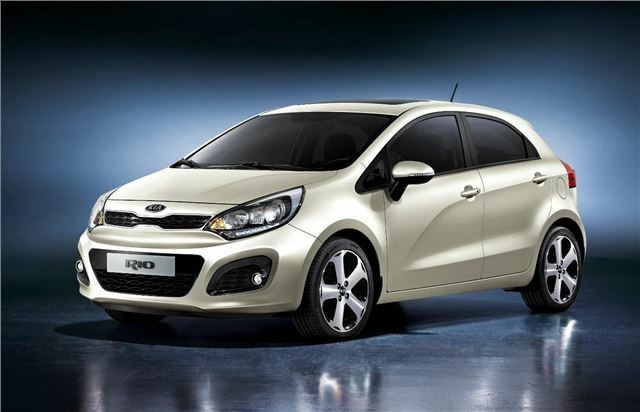 The new Rio gets the new Kia family look with signature grille, integrated with the headlamps. 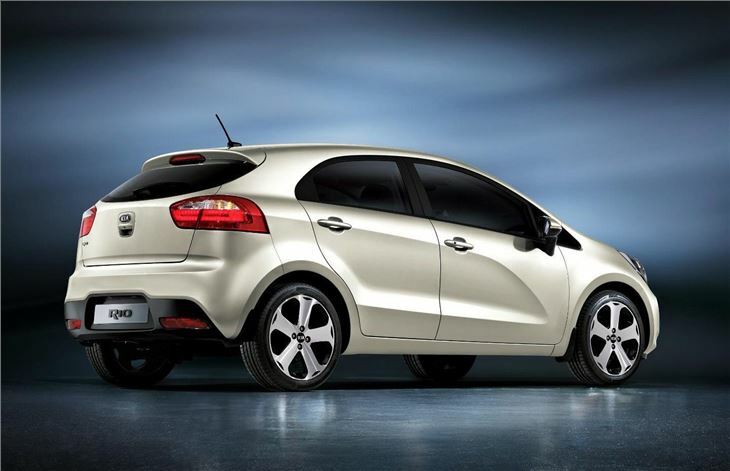 In profile, the body to glass ratio and its strong wedge form give new Rio a dynamic stance. The new model features a wheelbase extended by 70 mm (to 2,570 mm) and promises greater passenger space and comfort, together with increased cargo capacity to 292 litres for the hatchback. Exterior dimensions changes include: +55 mm (overall length), -15 mm (height) and +25 mm (overall width). Inside, the new model will deliver a high level of quality previously associated with larger models - together with a wide selection of trim options. Kia's B-segment newcomer will be offered with an extensive range of fuel-efficient and low-CO2 petrol and diesel engines, depending on market - including a 1.1-litre diesel unit generating 70 ps, with CO2 emissions from as low as 85 g/km. An all-new, high-performance 1.2-litre Turbo Gasoline Direct Injection (GDI) will also be available from 2012. Soon-Nam Lee, Director of Overseas Marketing, Kia Motors Corporation, commented: "This new model is a big step forward. The Rio has always been successful, and with this new incarnation we have a car that people will want to buy for its looks." Since its launch in 2005, global sales of the current-generation Rio have totalled more than 860,000 units. It was the company's third best-selling vehicle in overseas markets during 2010 with sales of more than 219,000 units. UK sales from launch total 52,626 units.